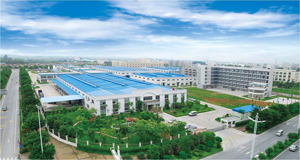 ﻿ Shenzhen Splendor Chemical Industry Co, Ltd.
Splendor is professional in adhesive products as well, with advanced equipments and high-tech team, we provide all over the world with high quality silicone sealant, widely used in construction for adhering, caulking, and many other household use. Splendor is professional in aerosol products, with advanced equipments and high-tech team, we provide all over the world with high quality all kinds aerosol spray paint, our spray paint are popular because of its nice properties, such as well-distributed, fast dry, high adhesive, low odour and so on. Splendor is professional in car-care products, with advanced equipments and high-tech team, we provide all over the world with high quality car-care products, such as Carb cleaner, Dashboard polish, All kinds car wax, Engine series, Car interior/exterior products series and so on. We are your car’s professional guardian. Splendor always keep researching and developing, through our efforts, our new products RUBBER PAINT with its esxcellent property such as easy to operate, well-distributed, colorful, low ordor, high adhesive, UV protection... are becoming more and more popular. Address: RM728, HONGFA CENTRAL BUILDING, CHUANGYEYI ROAD 1004, BAO’AN DISTRICT, SHENZHEN, CHINA Tel :86(755)-29473960 / 29539269 Fax :86(755)-29473805.